At Renew Life®, we believe a healthy gut is a happy gut. Our mission is to empower you to elevate your quality of life through better digestive health. For nearly two decades, we have pioneered superior-quality digestive wellness supplements to help people achieve optimal health from the inside out. By focusing on innovation and proven science to create powerful and effective formulas, Renew Life has become a leader in digestive wellness. 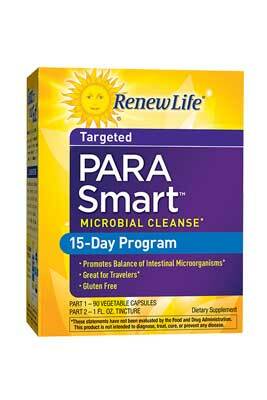 PARASmart™ is a targeted, 2-part cleansing program made with specially selected herbs and natural ingredients to help detoxify and rebalance your intestinal microbes to promote internal harmony. It’s designed to address your body’s unique needs to help you feel your best. 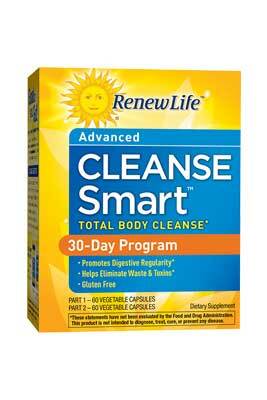 Cleanse Smart™ is an advanced, 2-part herbal cleansing program powerfully formulated to help you get rid of digestive toxins and restore regularity. The morning cleanse supports detoxification; the evening cleanse promotes elimination, so you feel better, lighter, and more energized. 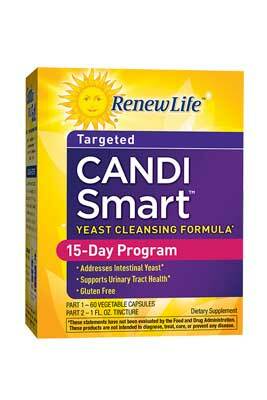 CandiSmart™ is a targeted, 2-part cleansing program made with specially selected herbs and natural ingredients that focus on intestinal yeast for internal harmony. It’s designed to address your body’s unique needs to help you feel your best.